I offer a comprehensive restoration, repair and conservation service on all types of antique and modern furniture. This includes refinishing and upholstery. I provide a first class service and advice. My well equipped workshop has easy access to the M27 from both Southampton, Winchester and Portsmouth and I am able to offer transportation of items by arrangement. I value my reputation for reliability and punctual completion. I trained at West Dean College and passed, with Distinction, their Diploma in the Conservation and Restoration of Antique Furniture before completing a further year and achieving a Post Graduate Diploma from the University of Sussex in 2003. I then worked alongside an experienced restorer before setting up my own premises in October 2011. I share the premises with my wife who is a picture framer and can undertake all types of framing and frame restoration. As the skills needed to restore the many aspects of furniture are varied I have made valuable contacts with other craftsmen and can also offer the following services. Ian, you have done such a painstaking job to my secretaire, I am most grateful. I would like to say how lovely it is to have a treasured piece of family furniture so beautifully restored. None of us are able to pass it without running our hands across the table top. When you came to us to give the quote I was so impressed in the way you gave it. You not only explained what you intended to do to the table and chairs but why you thought that was the best approach to them. You were also enthusiastic about your work but modest in the way you approached the business side of it. You came across as the one that was quietly passionate about your work and the result shows the skill you have with furniture. The speed at which you did the work was also a bonus. Thank you once again for all your work to restore the table. It looks like a new and completely different dining table. It’s been reassembled and is back in use. Just to say a very big thank you for all the work you have done on my table and box. I am absolutely delighted with the results. Please let me know when you are back from your holiday & I will arrange to bring you your next project! The little serpentine cabinet you restored for me is just lovely & at long last the drawers run so smoothly – bliss! Extremely happy, it looks better than it did before the damage was done! Thank you again. Ian, thank you so much. What a super job & now is as good as it ever was. Ian did an excellent and very competitive job on restoring our Edwardian 3 piece suite. The woodwork was bleached in places and dull in others, with the decorative inlay falling out. The suite needed to be completely reupholstered. Ian advised that the previous upholstering was not up to suitable standard and went on to improve it greatly. Ian produced the job in good time and was always friendly and approachable. Good advice was given and a great result achieved. Ian is very experienced with a high level of competency and works to high standards. The suite will now give us great use over many years to come. Thanks Ian, we will definitely come back to you again in the future with another project. We asked Ian to restore a badly scratched oak dining table and when it came back it looked beautiful with a perfect colour match and no sign of where the scratches had been. He also fixed the dining chairs that had become very wobbly and are now back in use. We have since asked him to repair a scratched oak chest of drawers and are equally pleased with that. Ian is very professional in his work – he does what he says he will do, for the price that he quotes, in the time he says it will take. We would happily use his services again and recommend him to anyone wanting a high quality job done. Ian refurbished a kitchen table and 6 chairs for us in late 2015. He did a test on one chair so we were happy with the colour and also made arrangements to collect and deliver the items. His communication with customers is excellent, and he was always willing to help. The end result is superb – a 15+ year old dining set looks BRAND NEW and has new warmer and deeper tone. This was a gift when we bought our first house and Ian treated it with the same care and love that we have for it. Cannot recommend his work enough! A great craftsman who clearly loves what he does! We had some old nursing chairs in need of repair. Ian assessed, quoted and advised in knowledgeable and clearly explained way. He then did the job to a v high standard, as per quote; and swiftly, too. My mid-eighteenth-century mahogany bachelor’s chest had been sadly mis -used and needed expert attention to bring it back to life. Ian Wall’s outstanding professional skills enabled that to happen. He found some lovely veneers to replace the top, and cleaned off decades, if not centuries, of inappropriate polishing and finishing to reveal the true colour of the chest. It now has a lovely sheen, and is much admired daily. 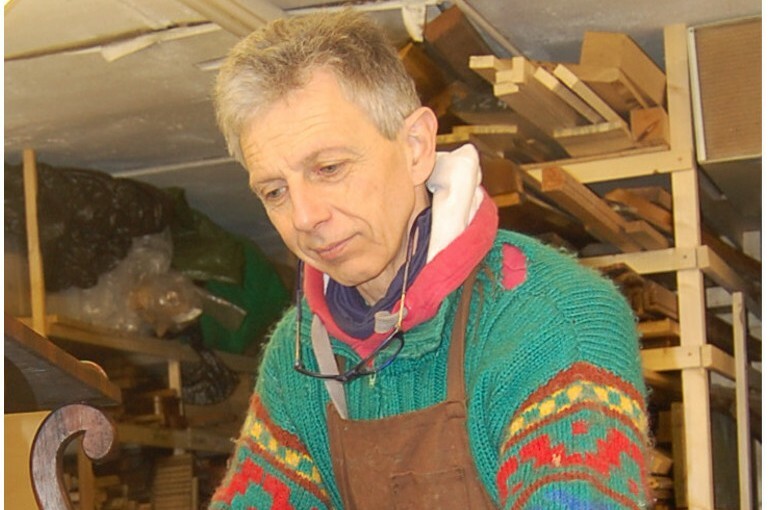 I would recommend any one to contact Ian for advice and excellence in furniture restoration.